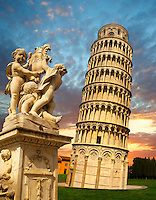 Pictures of The Plazza Del Duomo Pisa Unesco World Heritage Site Italy.  photos & Images of the Duomo & The leaning tower of pisa. 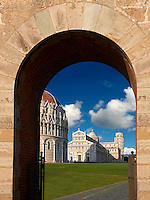 See & buy Pisa stock photos or Pisa photo art prints & cards. Standing in a large green expanse, Piazza del Duomo houses a group of monuments known the world over. These four masterpieces of medieval architecture - the cathedral, the baptistry, the campanile (the 'Leaning Tower') and the cemetery - had a great influence on monumental art in Italy from the 11th to the 14th century.